The Bel Air Farmers’ Market is headed into its 44th season. In a County known for its rich agricultural history, it will come as no surprise that there are over 50 vendors that participate in the weekly tradition in downtown Bel Air. If you’ve never attended the weekly Bel Air Farmers’ Market, you don’t know what you’re missing! Not only can you get farm fresh, locally grown, in-season produce, you can also purchase local meats, eggs, dairy products and baked goods. The Farmers’ Market has added a rotating selection of local breweries and wineries to the mix each week so you can even choose the perfect happy hour treat to go with your locally grown ingredients. The market boasts a wide variety of annuals and perennials for those that have a green thumb. From spring pansies to fall mums, you can add a beautiful selection to your garden with the helpful guidance of the growers. Plenty of vegetable and herb plants are available too so you can get started on your own back yard garden. Several vendors also offer beautiful resh cut bouquets sure to brighten your day. If you’re looking for something more than what to put on the dinner table, the Bel Air Farmers’ Market won’t disappoint you. You can catch live music from local performers, and April and November are Art Months with plenty of local artisans on hand with handcrafted jewelry, pottery, paintings and more. Great for gift giving or as additions to your own home. 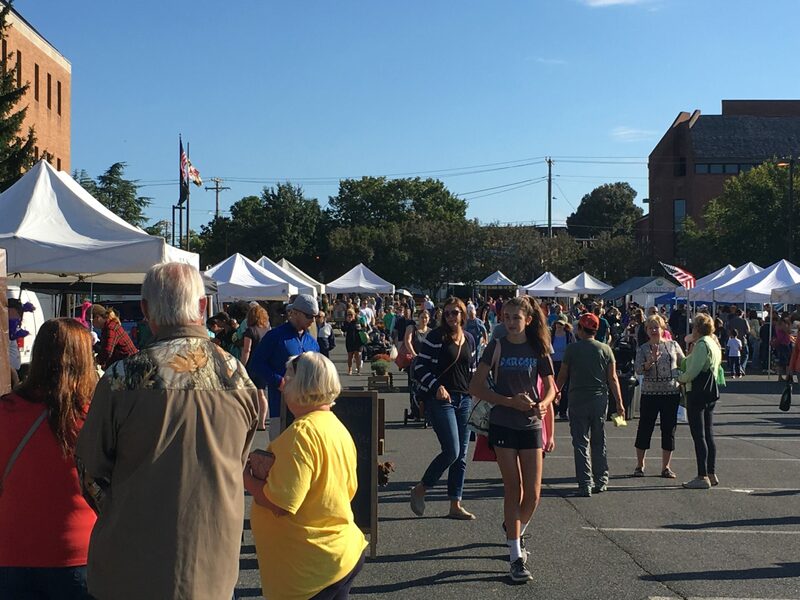 The Bel Air Farmers’ Market takes place in the Mary Risteau Courthouse parking lot on Bond Street and is open from 7-11am each Saturday from April 13th – December 21st. For more information on the vendors who participate, go to http://www.belairfarmersmarket.com. As if putting high quality food on your table wasn’t enough, shopping at the Bel Air Farmers’ Market is also great for the environment and supports our local economy. It’s a great place to catch up with neighbors and old friends too. So join us next week, won’t you? No two weeks are the same so be sure to come often!